LaMarr Houston, DT, Texas: Houston continued to build on the momentum generated from his solid showing at the Senior Bowl. The mammoth defender impressed scouts with his exceptional display of speed, power and athleticism while going through drills. Although Houston’s performance may not be enough to catapult him into the first round, it has made the former Longhorn one of the coveted sleepers in this draft. 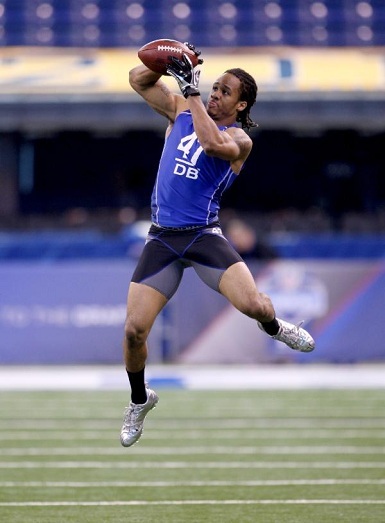 Be sure to also check out these video highlights and interview with Houston from the combine. So far I have been pretty underwhelmed with the overall performance of the 6 Texas Longhorns taking part in the NFL combine. Colt McCoy performed pretty well in the 2 drills he took part in, coasting easily to a 4.79s 40 yard dash. Earl Thomas wasn’t among the fastest safties, but got some love from one NFL Network announcer who said he was the most instinctive safety he has seen in the last 8 or 9 years. Below are the results so far. I will update when more information comes in. 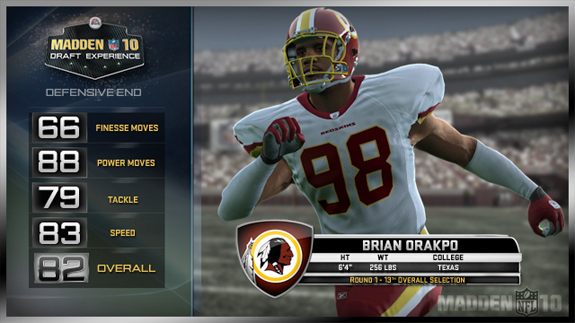 Brian Orakpo will be an 82 rated defensive end for the Redskins in Madden 10. Roger Goodell and [tag]Brian Orakpo[/tag] were still on stage at last weekend’s [tag]NFL Draft[/tag] and EA Sports already had Orakpo’s Madden NFL 10 Washington Redskins player card ready. The EA experts love his speed and power and rated him as an 82 overall. Both in real life and in the game, Rak is going to have a chance to contribute and flourish early on as a rookie playing next to Albert Haynesworth. After what had to be one of the most difficult weekends of his life Texas wide receiver [tag]Quan Cosby[/tag] has found a new home and signed a rookie free agent deal with the Cincinnati Bengals. Estimated by most draft experts to be a 5th or 6th round draft pick Cosby went completely unselected in the 2009 NFL Draft and also was forced to sit uncomfortable next to the great Bill Cosby wearing a football helmet. Though he was assuredly disappointed with not being selected, as a free agent he was able to pick the team and contract that was the best situation for him. With TJ Houshmandzadeh gone and Chad Johnson disgruntled as always, Quan has a good chance to make the team and contribute. 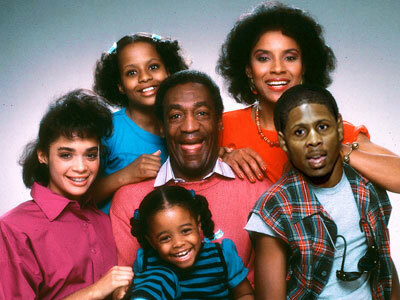 Cosby chose the Bengals over offers from Detroit, Seattle, Houston, San Diego, Indianapolis, Minnesota and St. Louis. Texas right guard [tag]Cedric Dockery[/tag] also has reportedly signed a free agent deal with the New Orleans Saints. We will have updates on [tag]Ryan Palmer[/tag] and the other undrafted Horns when they happen. Also follow @40AcresSports on Twitter for breaking Texas sports news. McGee actually isn’t terrible and was done in by horrible coaching and mediocre teammates at A&M, maybe he’ll have better success with a poorly run NFL franchise. Dennis Franchione tried to make into an option QB for no reason and then current head coach Mike Sherman decided the team’s future was more important than McGee’s. With good coaching, McGee has the talent to become a decent backup in the league, hopefully he gets an attitude adjustment as well. Follow along below with our live thoughts and analysis during today’s NFL Draft that will take place starting at 3:00pm on ESPN and the NFL Network. You can catch our live thoughts by tuning into this page and you can also participate in the conversation. We’ll also be embedding Twitter posts from @40AcresSports and with the hashtag #UTdraft right in with the other notes. Feel free to leave comments and questions using the live tool, but not all comments will be published. Read below for more notes on comments and how the live blog will work. Hook ’em! Notes: Comments on the article itself will be turned off till after the game. The Writer can view all comments sent to them but only they can publish your comments for everyone to see. The “autoscroll” feature ensures you’re always shown the newest content without having to refresh or scroll your screen. Subtle sound effects alert you to new content as the writer publishes it. You can turn these features on or off by using the controls at the bottom of the Live Blog. Check out our projections for how this weekend’s NFL Draft will shake out below along with the picks of some of the league’s draft experts. We’ll be providing live updates on the draft and the Longhorns players who might be selected here on the site and in 140 characters or less on our Twitter account. Texas wide receiver [tag]Quan Cosby[/tag] isn’t expected to be a first or second round pick in this weekend’s NFL Draft, but he might still be getting a lot of attention during ESPN’s coverage. Quan will be watching the draft coverage with the great Bill Cosby and ESPN will have their cameras in the room. Quan and Bill are not related but met and struck up a relationship earlier this year after the [tag]Fiesta Bowl[/tag]. It seems that UT wide receiver Quan Cosby will be watching the NFL draft with comedian Bill Cosby this weekend in suburban New York where Cosby (Bill) will be performing. And ESPN’s cameras will be there to capture the moments. According to ESPN,the unrelated Cosbys struck up a friendship after Bill watched Quan play in the Fiesta Bowl. Bill’s people contacted Quan’s people and a relationship was begun. Quan introduced Bill when the comedian performed not too long ago in Austin. If Quan is drafted, it is expected to be on the second day of festivities, Sunday. If Quan is drafted when Bill is on stage, Bill promises to stop his show and bring Quan on stage. I’m surprised ESPN even got the joke considering how ESPN/ABC’s announcers called him Quan Crosby half the time, but maybe now that they think Quan and Bill are related they’ll get his name right more often. Possible Steal – Chris Ogbonnaya, Texas: He’ll be drafted late if he is drafted at all, but there are several things working in his favor. While his top-end speed is limited and he’s not the shiftiest back, his ability to play in zone schemes will create opportunities for him. He has terrific hands out of the backfield and is a willing pass protector. He’s also not afraid to put his helmet done and get physical if need be. He could be a better pro than college player. Possible Steal – Henry Melton, Texas: Melton is a former running back who has played DE for only one year. Obviously he has above average feet and quickness for the position and Texas defensive coordinator Will Muschamp believes Melton has a chance to be a very good pass rusher on the next level if he continues to develop. If Melton wouldn’t have crushed it at the Texas pro day, he would have been more under the radar than he is right now.